John James Fraiser III was born in New Orleans on October 27, 1954, the son of Chief Judge John Fraiser, Jr, of Greenwood, Mississippi, and Adelyn Gerald Stokes. He grew up in Greenwood, graduating from Greenwood High School in 1972. He went on to receive a B.A. in English and history at the University of Mississippi in Oxford in 1976 and a law degree from Ole Miss three years later. After serving as an assistant district attorney in Hinds County from 1980 to 1982, he went into private practice until 1995, when he became a special assistant attorney general in the Civil Litigation Division, a position he still holds today. Even as he maintained his day jobs, however, Fraiser worked at his other interests, which include acting, writing, and teaching. 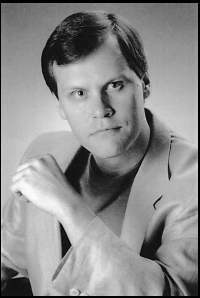 From 1981 to 1991 he performed professionally with Jacksons New Stage Theater. Several unpublished plays which he wrote have been performed, including adaptations of Walker Percys novel Love in the Ruins (1989) and Ernest Hemingways The Sun Also Arises (1990), and the original plays Cosmos by Copernicus (1991) and The Judas Principle (1992). A member of the Screen Actors Guild since 1988, he had film roles in Good Ole Boy (1988), Mississippi Burning (1989), and Blind Vengeance (1992). From 1988 to 1990, he was the philosophy columnist for Down South Magazine, which published his short story The Plutonian Chronicles in 1989. Between 1990 and 1993, he served as a paralegal instructor at the University of Mississippi and the Mississippi University for Women. He has written freelance articles for Greenwood Commonwealth, the Daily Mississippian, The Clarion Ledger, North Mississippi Business Journal, Down South Magazine, National Women Lawyers Journal, Mississippi Lawyer Magazine and The American Bar Journal. Today, he is a contributing editor for the Jackson Business Journal and a contributing writer for the Northside Sun. His first book was the humorous M is for Mississippi: An Irreverent Guide to the Magnolia State (1991). Shadow Seed is his first novel, and while its subject matter and the profession of its author may bear some superficial resemblance to another, more famous Mississippi lawyer-turned-author, the reviews for the novel have been positive. 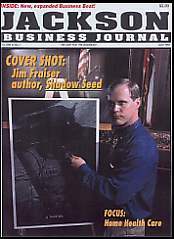 A reviewer for the Delta Democrat Times wrote that its layered story ... will both appeal to readers appetites for commercial thrillers and leave them thinking about the moral decay that plagues modern America. Mississippi writer Charles Wilson says that Shadow Seed is reminiscent of Cape Fear, but more chilling for its gritty realism. A great read! Other reviewers have been equally enthusiastic. Fraiser comments on the banning of his books. Shadow Seed (novel). Montgomery, Alabama: Black Belt Press, 1997. The Plutonian Chronicles (short story), Down South Magazine (1989). M Is for Mississippi: An Irreverent Guide to the Magnolia State. Jackson, Mississippi: Persimmon Press, 1991. Mississippi River Country Tales: A Celebration of 500 Years of Deep South History. Gretna, LA: Pelican, 2000. For Love of the Game: The Holy Wars of Millsaps College & Mississippi College Football. Mississippi Sports Council, 2000. Majesty of the Mississippi Delta. Gretna, LA: Pelican, 2002. The Real Paper Chase: An Attorneys Guide to Publication. The Mississippi Lawyer 44 (November/December 1997): 23-25. A Review of Issues Presented by the Notice and Statute of Limitations Provisions of the Mississippi Tort Claims Act. 65 Mississippi Law Journal, 643 (1996). Complaint as Satisfying Requirement of Notice of Claim upon States and Municipalities. 45 American Law Reports, 5th Series 109. Persons or Entities Upon Whom Notice of Claim Against State May or Must be Served. 45 American Law Reports, 5th Series 173. This page has been accessed 3666 times. About this page counter.